The US lead NATO mission in Afghanistan is heating up while NATO itself struggles with the costs and its own existence. Meeting in Lisbon one of the lead agenda items is redefining NATO’s identify. Initially established as a balance to the Soviet Union during the Cold War, many question the need for the organization in the 21st century. Brian Becker, the national director for the A.N.S.W.E.R. Coalition argued that there is no longer a need for NATO. US President Barack Obama is working hard to keep America’s NATO partners onboard for the prolonged operation in Afghanistan. At the same time, the people in Afghanistan are resisting. They are rising up similar events that took place in Vietnam, argued Becker. “It looks like a losing cause, which it is,” he added. 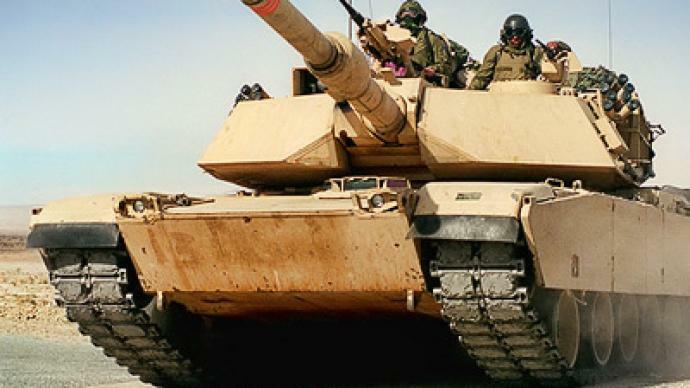 Ten years into the conflict, the US has announced it will send, for the first time, M1 Abrams tanks to Afghanistan, shifting the conflict from an unconventional to a more conventional war. The tank is known for being able to destroy a house from a mile away with pin-point accuracy. Many in Afghanistan still see US and NATO forces as invading imperials, occupying their land and livelihoods. A poll conducted in Afghanistan indicated many villagers in Afghanistan do not understand the pretext to the invasion of Afghanistan. “Asking them, do you know about September 11th, do you know that there were hijacked airliners that crashed into the World Trade Center, 92 percent of the people in those occupied villages have never heard of the World Trade Center, knew nothing about September 11,” said Becker. “They don’t understand at least the pretext, but they may understand the fundamental, the real reason, which is like occupiers in the past people want to come in and take their land, their resources, and their country for their own empire ends. A third piece to the Afghan puzzle is Afghan President Hamid Karzai, who must balance the interests of the US, regional partners and his own people. “He’s between a rock and a hard place,” said Becker. Karzai needs the support of NATO and the US to remain in power, he explained. But he also has to keep he people satisfied. Karzai is seeking the best balance he can between pleasing occupying forces while showing resistance on behalf of Afghanis.